I was in Chinatown the other day here in Calgary and I took a few street shots. I decided to shoot 35mm just to mix things up a little and force my self to get a little closer to my subjects. I definitely prefer 50 over 30, but it’s fun to get a little closer every now and then. 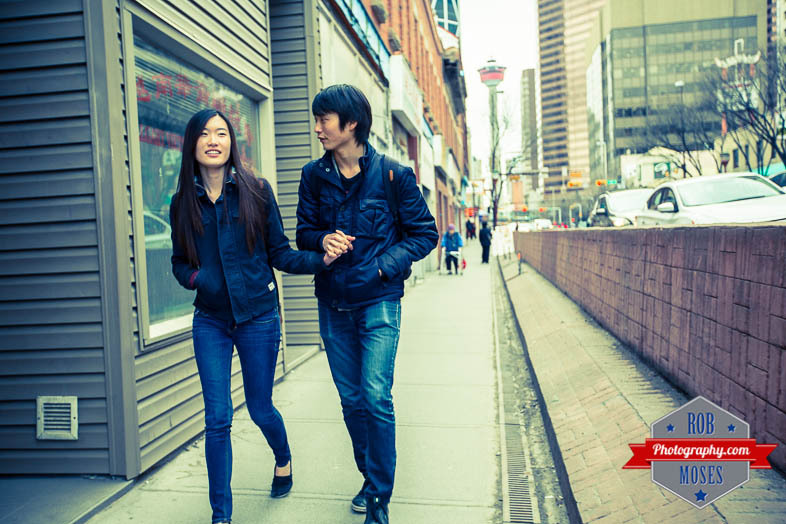 This entry was posted in People, Street Photography and tagged 16-35L, 16-35mm, 35mm, 5D mark iii, 5D3, 5Diii, Alberta, beautiful, building, buildings, Calgary, Canada, canadian, Canon, Chinatown, Chinese, city, City Life, couple, girl, life, love, metro, people, photo, Photography, pretty, sidewalk, skyscrapers, strangers, street, together, tower, Urban, walk, walking, woman, young, yyc, zoom. Bookmark the permalink. Curious how you handle taking photos of strangers on the street. I find I’m very uncomfortable as a photographer of people yet I want to get more people shots. I’ve started to ask folks if they mind and I get some good portrait shots, but not great life as usual shots. Is there a happy medium? Do you ever get really comfortable? Hello Angela, a very good question. Yes at times I can be a little uncomfortable, but I just make sure to put my self in the right situation. For instance I find when shooting people in the streets it is easiest (for me) to take pictures as they are walking by in the opposite direction I am walking. It also helps to do it on busier streets with a lot going on. I would probably avoid a situation like if it was you and one other person at a suburban bus stop or something haha. In a one on one situation like that I would just ask :). Anyhow, I hope that helps! Just get out there and do it! Take the picture and ask (or more likely answer in this case) questions later haha. It is getting easier, that’s for sure. The more I photograph people, the less anxious I get. And I’m starting to get some really good shots! Thanks so much Rob. And you cleverly positioned the Calgary Tower at the far end of the street!